A pre-prodcution PDF version can be found here. Enjoy. Many researchers have argued that cursor tracking data can provide enhance ways to learn about website visitors. One of the most difficult website performance metrics to accurately measure is user engagement, generally defined as the amount of attention and time visitors are willing to spend on a given website and how likely they are to return. Engagement is usually described as a combination of various characteristics. Many of these are difficult to measure, for example, focused attention and affect. These would traditionally be measured using physiological sensors (e.g. gaze tracking) or surveys. However, it may be possible that this information could be gathered through an analysis of cursor data. This work  presents a study that asked participants to complete tasks on live websites using their own hardware in their natural environment. For each website two interfaces were created: one that would appear as normal and one that was intended to be aesthetically unappealing, as shown below. The participants, who were recruited through a crowd-sourcing platform, were tracked as they used modified variants of the Wikipedia and BBC News websites. There were asked to complete reading and information-finding tasks. The aim of the study was to explore how cursor tracking data might tell us more about the user than could be measured using traditional means. The study explored several metrics that might be used when carrying out cursor tracking analyses. The results showed that it was possible to differentiate between users reading content and users looking for information based on cursor data. They also showed that the user’s hardware could be predicted from cursor movements alone. However, no relationship between cursor data and engagement was found. The implications of these results, from the impact on web analytics to the design of experiments to assess user engagement, are discussed. This study demonstrates that designing experiments to obtain reliable insights about user engagement and its measurement remains challenging. Not finding a signal may not necessary means that the signal does not exist, but that some of the metrics used were not the correct ones. In hindsight, this is what we believe happened. The cursor metrics were not the right ones to differentiate between the levels of engagement experience as examined in this work. Indeed, recent work  showed that more complex mouse movement metrics did correlate with some engagement metrics. David Warnock and Mounia Lalmas. An Exploration of Cursor tracking Data. ArXiv e-prints, February 2015. Ioannis Arapakis, Mounia Lalmas Lalmas and George Valkanas. Understanding Within-Content Engagement through Pattern Analysis of Mouse Gestures, 23rd International Conference on Information and Knowledge Management (CIKM), November 2014. We often access several sites within an online session. We may perform one main task (when we plan a holiday, we often compare offers from different travel sites, go to a review site to check hotels), or several totally unrelated tasks in parallel (responding to an email while reading news). Both are what we call online multitasking. We are interested in the extent to which multitasking occurs, and whether we can identify patterns. Our dataset consists of one month of anonymised interaction data from a sample of 2.5 millions users who gave their consent to provide browsing data through a toolbar. We selected 760 sites, which we categorised according to the type of services they offer. Examples of services include mail, news, social network, shopping, search, and sometimes cater to different audiences (for example, news about sport, tech and finance). Our dataset contains 41 million sessions, where a session ends if more than 30 minutes have elapsed between two successive page views. Finally, continuous page views of the same site are merged to form a site visit. How much multitasking in a session? On average, 10.20 distinct sites are visited within a session, and for 22% of the visits the site was accessed previously during the session. More sites are visited and revisited as the session length increases. 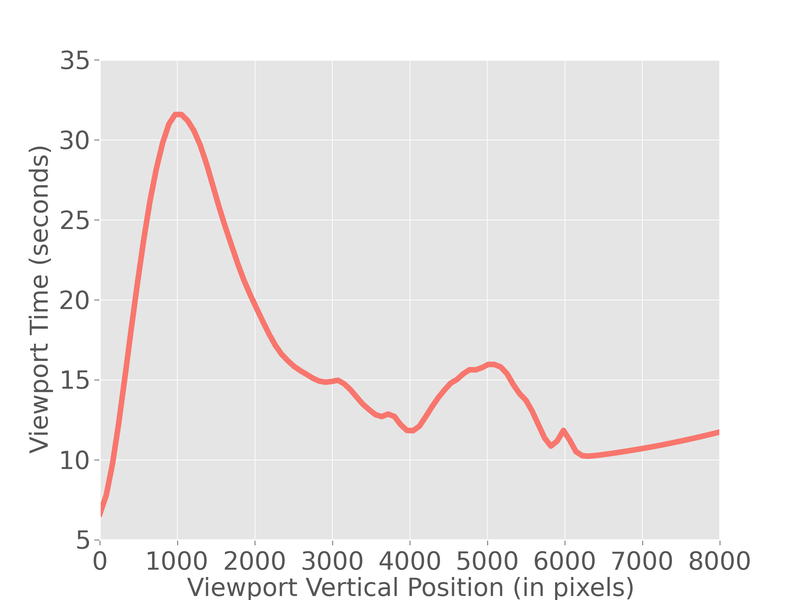 Short sessions have on average 3.01 distinct sites with a revisitation rate of 0.10. By contrast, long sessions have on average 9.62 different visited sites with a revisitation rate of 0.22. We focus on four categories of sites: news (finance), news (tech), social media, and mail. We extract for each category a random sample of 10,000 sessions. As shown in Figure 1 below, the sites with the highest number of visits within a session belong to the social media category (average of 2.28), whereas news (tech) sites are the least revisited sites (average of 1.76). The other two categories have on average 2.09 visits per session. Figure 1: Site visit characteristics for four categories of sites: (Left) Distribution of time between visits; and (Right) Average and standard deviation of number of visits and time between visits. What happens between the visits to a site? mail sites have the highest absence time, 6.86 minutes on average. However, the media of the distributions of the absence time across all categories of sites is less than 1 minute, and this for all categories. That is, many sites are revisited after a short break. We speculate that a short break corresponds to an interruption of the task being performed by the user (on the site), whereas a longer break indicates that the user is returning to the site to perform a new task. How do users switch between sites? backpaging: using the back button on the browser, or when several tabs or windows are ope and the user returns to one of them). The way users revisit sites varies depending on the session length. Teleporting and hyperlinking are the most important mechanisms to re-access a site during short sessions (30% teleporting and 52% hyperlinking for short sessions), whereas backpaging becomes more predominant in longer sessions. Tabs or the back button are often used to revisit a site. Figure 2: (Top) Visit patterns described by the average time spent on the site at the ith visit in a session. (Bottom) Usage of navigation types described by the proportion of each navigation type at the ith visit in a session. We also look at how users access a site at each revisit, for the four categories of sites. This is shown in Figure 2 (bottom). For all four categories of sites, the first visit is often through teleportation. Accessing a site in this manner indicates a high level of engagement, in particular in terms of loyalty, with the site, since users are likely to have bookmarked the site at some previous interaction with it. In our dataset, teleportation is more frequently used to access news (tech) sites than news (finance) sites. 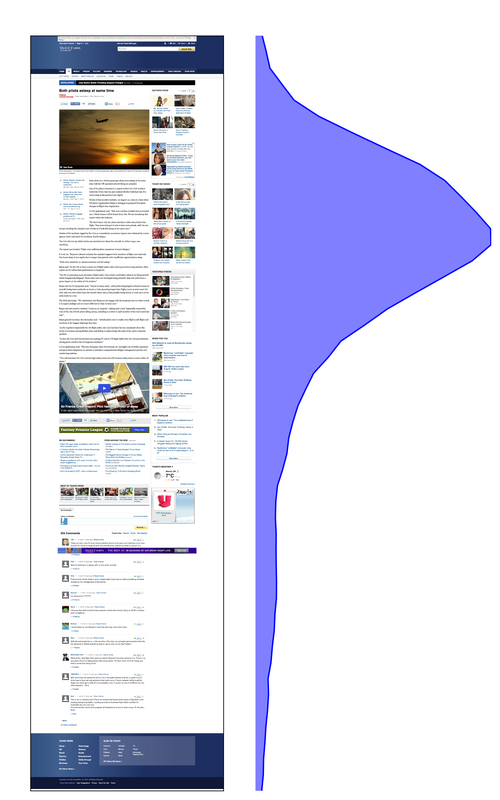 After the first visit, backpaging is increasingly used to access a site. This is an indication that users leave the site by opening a new tab or window, and then return to the site later to continue whatever they were doing on the site. However, in general, users still revisit a site mostly through hyperlinking, suggesting that links still have an important role in directing users to a site. In our dataset, news (finance) sites are mostly accessed through links; users are directed to sites of this category via a link. The time spent on social media sites increases at each revisit (a case of increased attention). The opposite is observed for mail sites (a case of decreased attention). A possible explanation is that, for mail sites, there are less messages to read in subsequent visits, whereas for social media sites, users have more time to spend on them eventually because the other tasks they were doing are getting finished. News (finance) is an example of category for which neither a lower or higher dwell time is observed at each subsequent revisit (a case of constant attention). We hypothesise that each visit corresponds either to a new task or a user following some evolving piece of information such as checking the latest stock price figures. 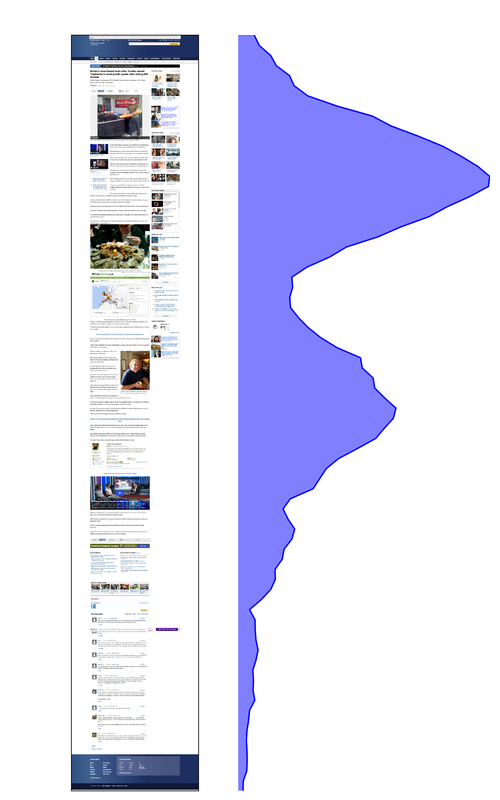 The time spent on news (tech) sites at each revisit is fluctuating. Either no patterns exist or the pattern is complex, and cannot easily be described (a case of complex attention). However, when looking at the first two visits or the last two visits, in both cases, more time is spent in each second visit. This may indicate that the visits belong to two different tasks, and each task is performed in two distinct visits to the site. Teleportation is more frequent at the 1st and 3rd visits, which confirms this hypothesis (Figure 2, bottom). Multitasking exists, as many sites are visited and revisited during a session. Multitasking influences the way users access sites, and this depends on the type of site. This work was done in collaboration with Janette Lehmann, Georges Dupret and Ricardo Baeza-Yates. More details about the study can be found in Online Multitasking and User Engagement, ACM International Conference on Information and Knowledge Management (CIKM 2013), 27 October – 1 November 2013, San Francisco, USA. Photo credits: D&D (Creative Commons BY).